Plastic bags have always been the most convenient yet economical way for people like us in our daily lives. 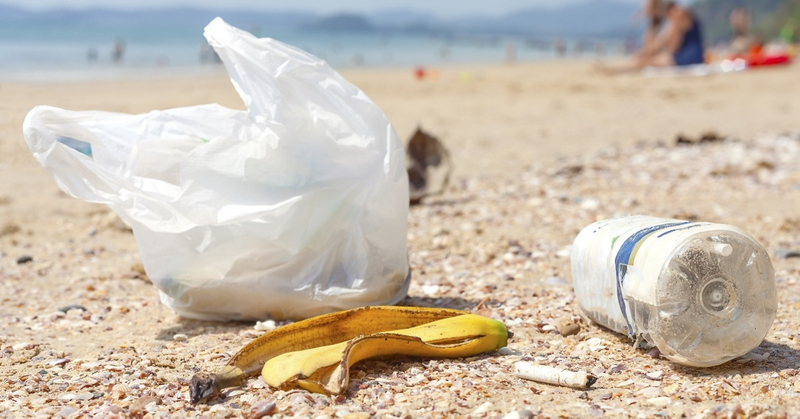 In other words, plastic bags have been an essential tools as part of our day-to-day life, despite its adverse effects on the environment, as we all know by now, that plastic is pretty bad for the environment. To put this fact into perspective, each year we use and discard over 1 trillion plastic bags, and these plastic bags take almost 100 years to full degrade, while the plastic bags are the second most common ocean waste, harming thousands of wildlife species each year. Luckily, nowadays, single used plastic bags are banned in many countries. In Malaysia, the ban of using single used plastic bags is carried gradually because the government believes that Malaysians still have the attitude of wanting everything to be easy and convenient. Anyway, it’s a good start and good move, while we hope that our government can fully impose plastic bags ban all across Malaysia as soon as possible. For the time bring, supermarkets are penalizing us 20 cent for each plastic bag. But this is definitely not a permanent solution because it has to stop eventually. So in the section below we will discuss 5 environmental ways which you can opt to replace plastic bags. 1.Use a reusable bags instead! Instead of using single used plastic bags, you can switch to a reusable bag, which is stronger and way more attractive than a normal plastic bags. There are many options of reusable bag, such as canvas bag, jute bag etc. Canvas bags are light weight and come in variety of shapes, size and design. Moreover, you can wash them regularly and reuse as many times as you want! Jute bag is another type of reusable bag. It is very strong and can withstand a heavier load of stuffs. Whenever you are going to work or grocery shop, jute bags will be one of your perfect choice, too! Storage basket or fruit basket another alternatives we can use to replace plastic bags. We can just use the basket to go shopping at grocery stores because it is very handy and can carry a lot. Besides, a basket is much attractive and nice looking as compared to an ordinary, plain plastic bag. Aeon grocery stores provide left-over cardboard boxes for shoppers to use to carry their goods home. This is a great idea of how to reuse the left-over cardboard boxes instead of sending all of them back to recycle. However, be sure to check out is it any card board boxes are available before doing your shopping, as maybe are all taken by the others. When you wish to buy any cooked food at hawker stall, use the reusable lunch boxes instead of packing the food using plastic bags, which is more hygienic and safer besides saving our planet. These kind of reusable lunch boxes come with variety of choices, most popular is the thermal insulated box, which you can maintained the warm temperature and also the freshness of the food! If you do not want to use any reusable bag or whatsoever, you can just put all your purchased items in the shopping trolley and stroll all the way to your car! Or if your purchased is just maybe a few things, why not just carry those goods with your own hands? Please be sure to return the trolley back to where it belongs so that other shoppers get to use the trolleys too!